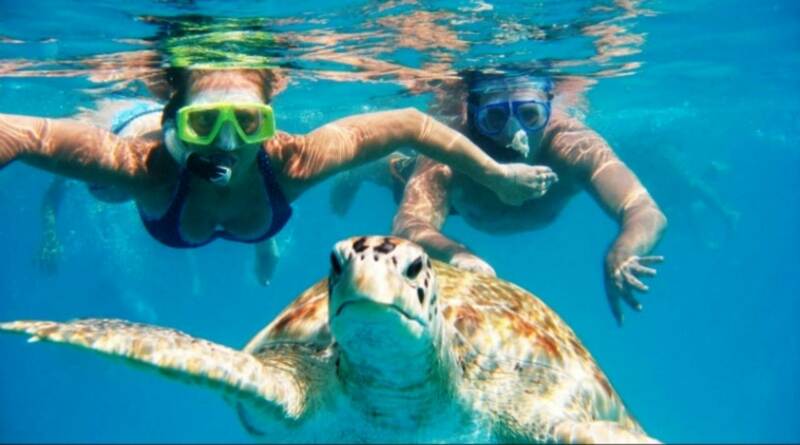 Everybody likes playing in the water, no matter how old or young they are! The buoyant tendencies of water, especially saltwater, gives a sense of weightlessness that we humans crave. 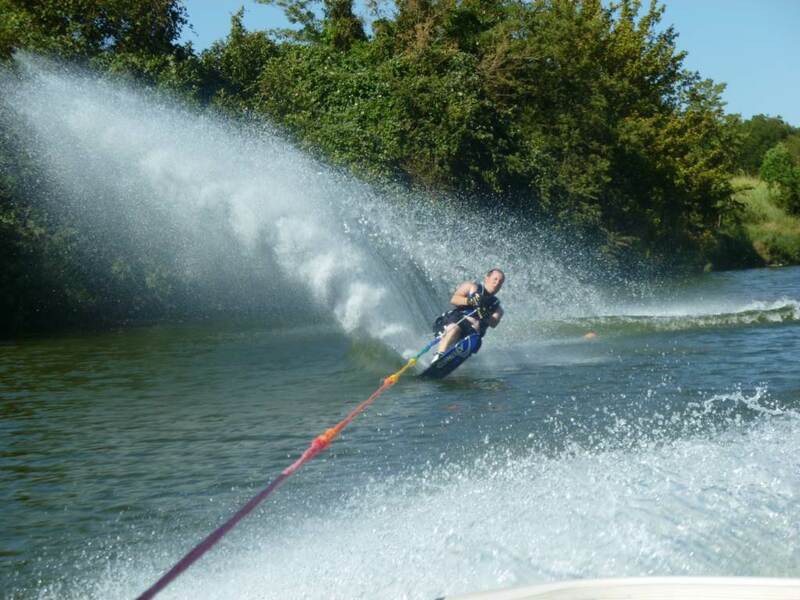 Water Sports are right there on top, next to Extreme Sports, on some of the most thrilling experiences to ever have. 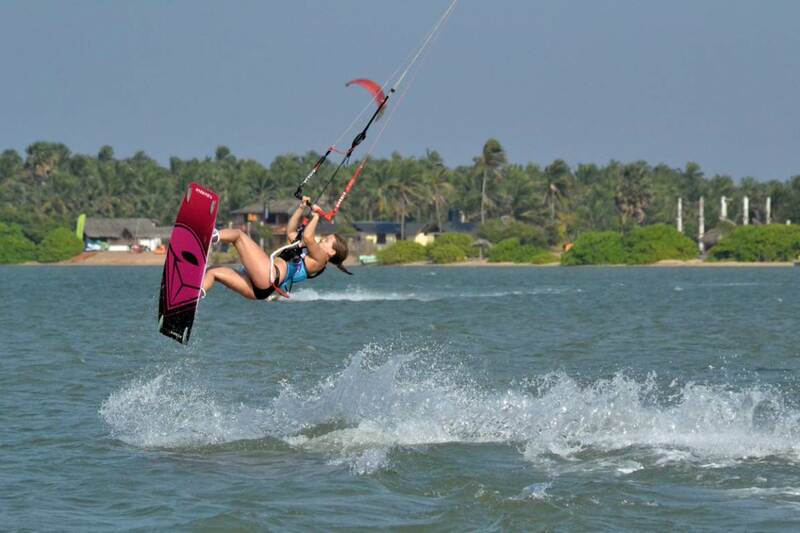 And where else would you find the utopia of water sports, except on a beautiful tropical island surrounded by clear turquoise water - in other words Sri Lanka. 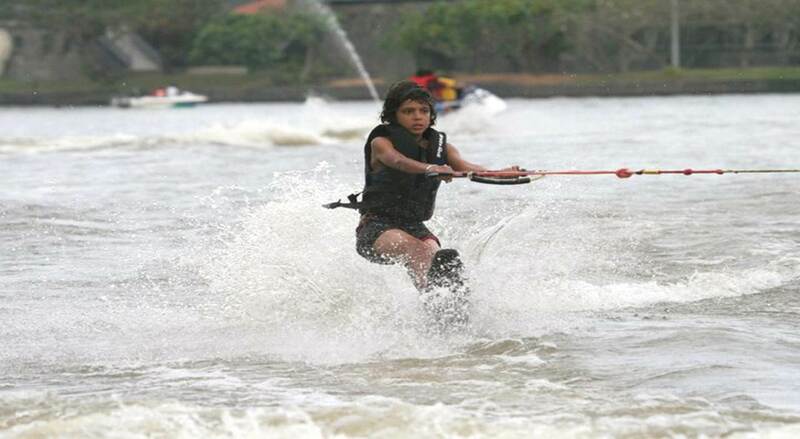 Surrounded by the sea, and having a number of large lakes and rivers, Sri Lanka is most ideal place to engage in Water Sports. 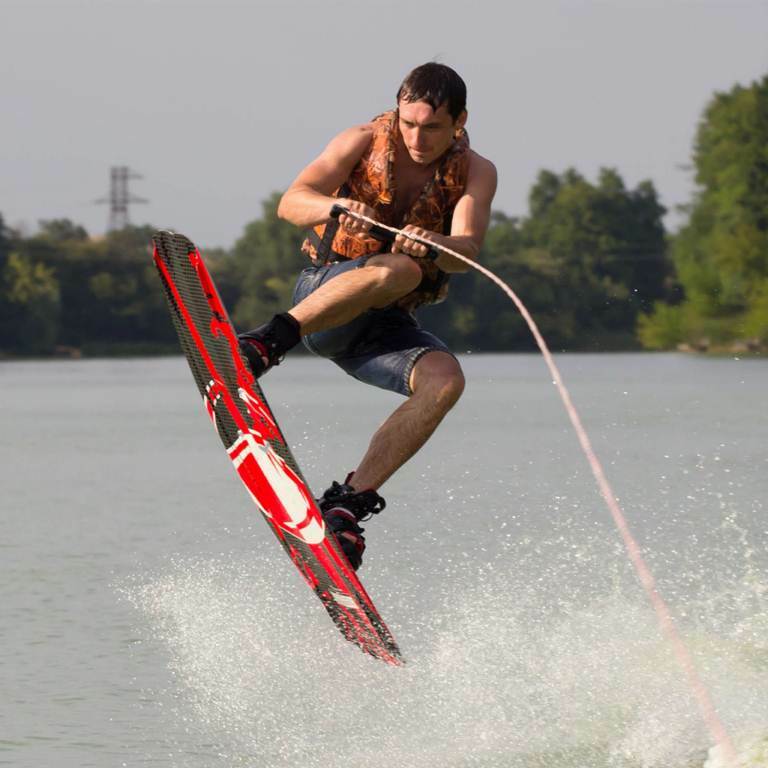 Indeed, there are several different types of water sports that you can enjoy here. 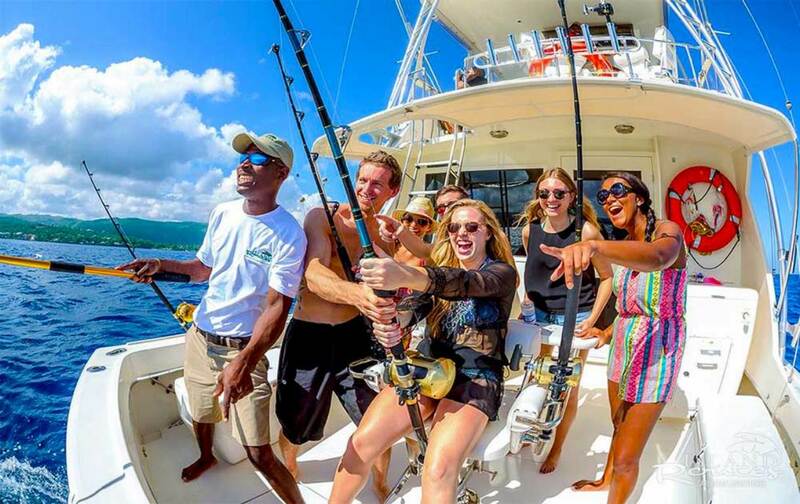 Below are the top 15, starting from the less thrilling but still fun ones and going on to the most thrilling rides of your lifetime. 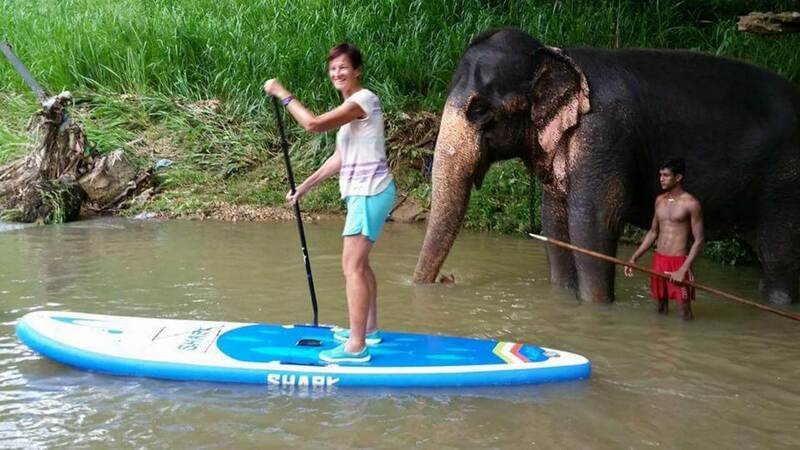 Sri Lanka has many rivers flowing down to the sea from its Central Highlands. 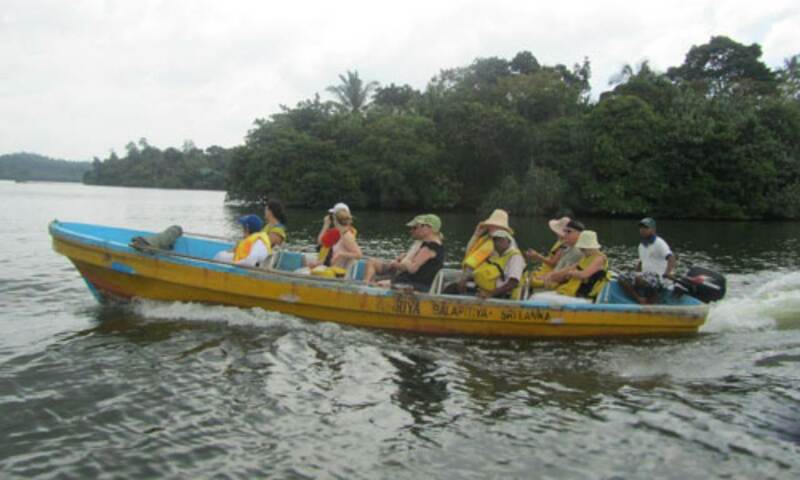 The flow of the rivers create various ecosystems, marshlands, islets and lakes. 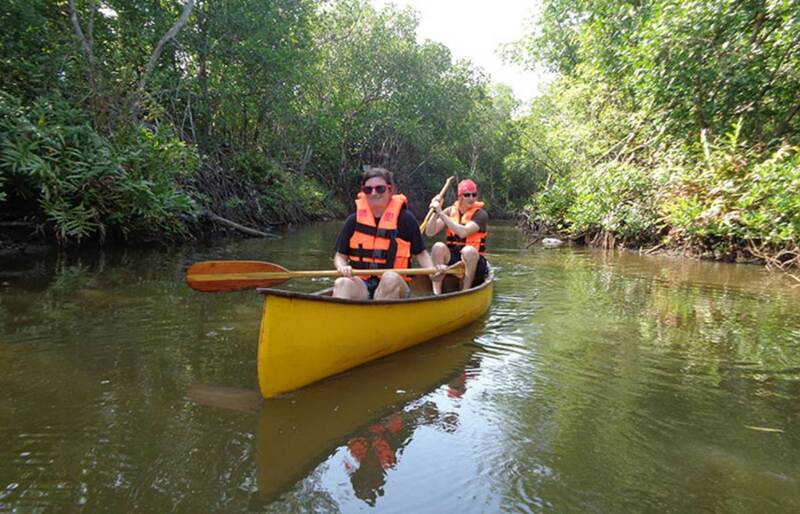 Madu River, in particular, is famous for its swampy marshal region with a rich ecosystem of flora and fauna. 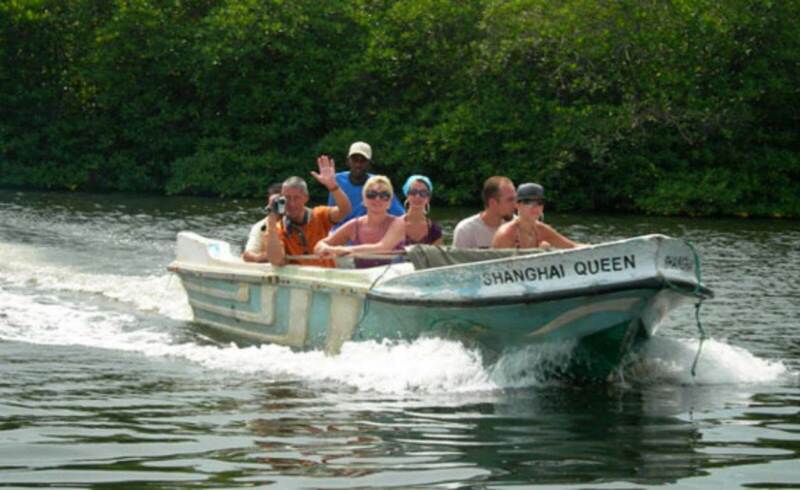 With a number of explorable islands and many interesting sights, it’s perfect to sightsee at. 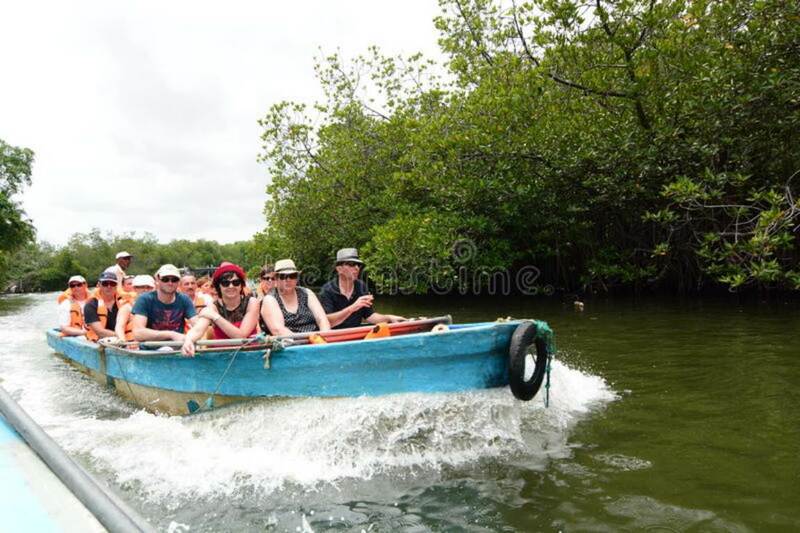 The Madu River Safaris also allow you to try your hands at the tiller on clear stretches, giving them a river boating experience as well. 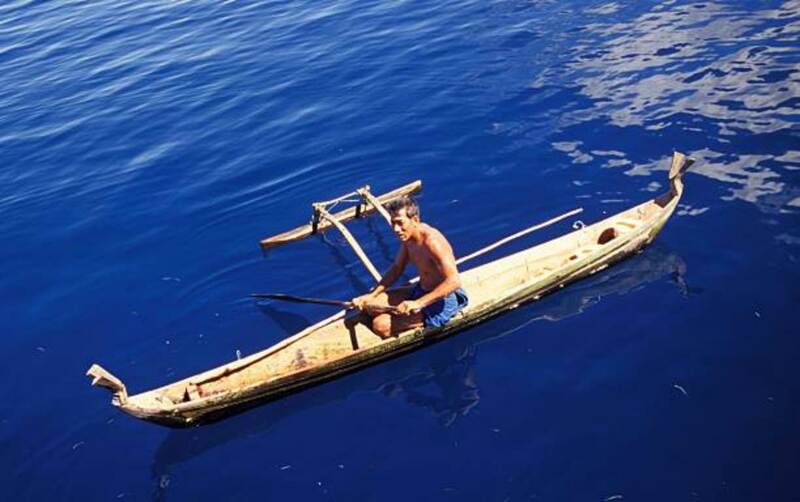 Sri Lanka has a number of outrigger canoes that are still in use in traditional villages. 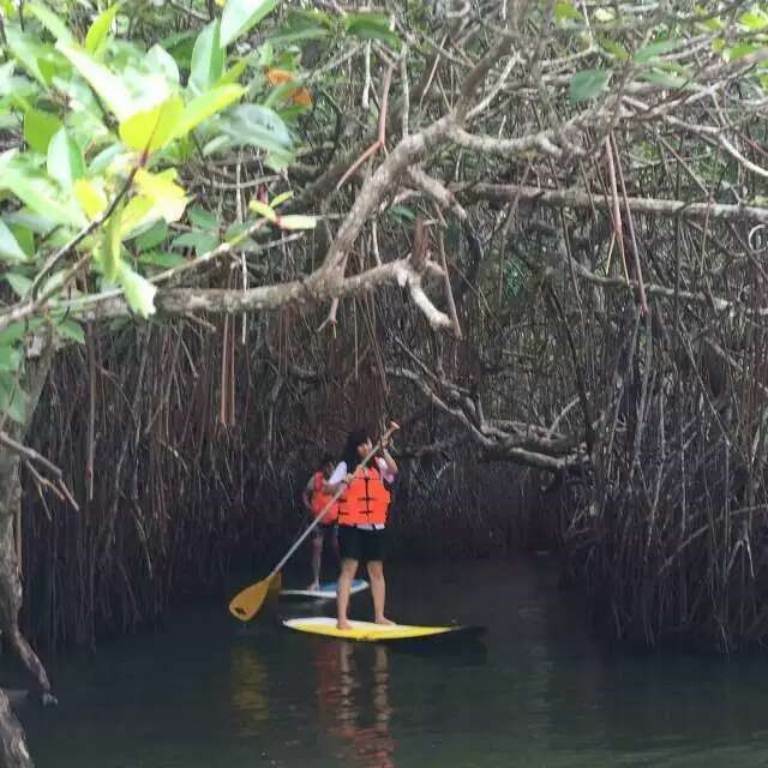 You can get a chance to try their hands at outrigger canoeing, or enjoy a little trip out on a river on an outrigger canoe. 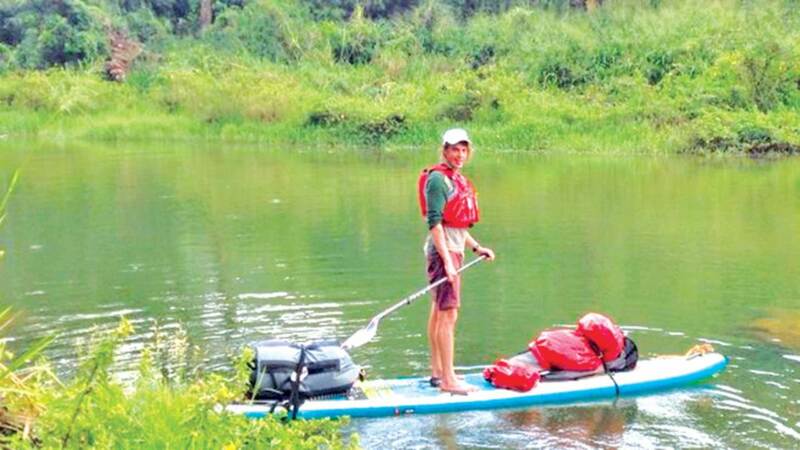 You can enjoy the challenge of keeping your canoe balanced and moving properly. 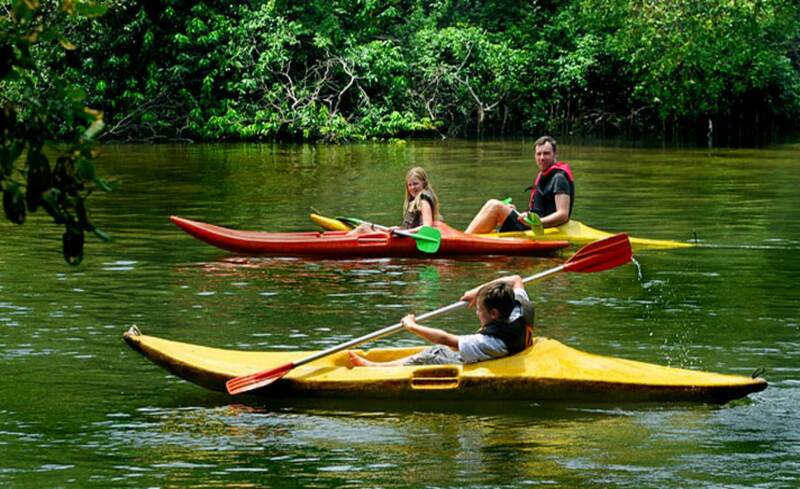 On the other hand, you can also try modern canoeing. 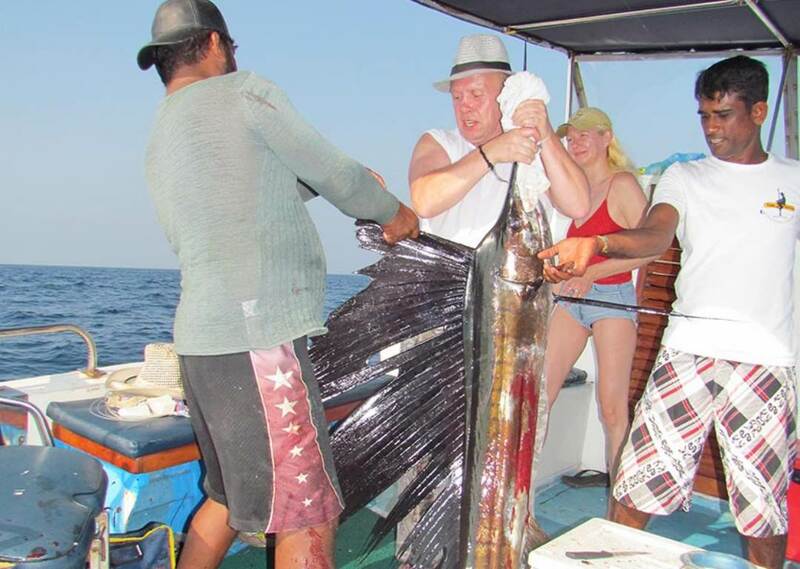 It is a popular sport that you can engage in on the rivers and lagoons of Sri Lanka. 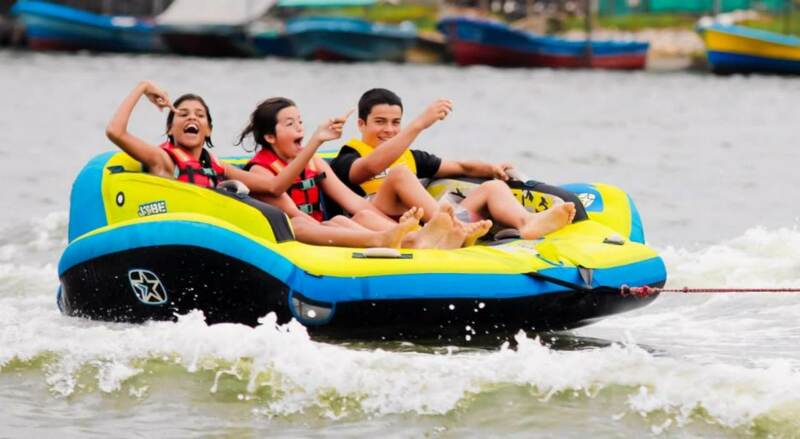 A number of rivers, lakes and lagoons in Sri Lanka that receive tourist visits, often have duck and swan-necked paddle boats docked along their shores. 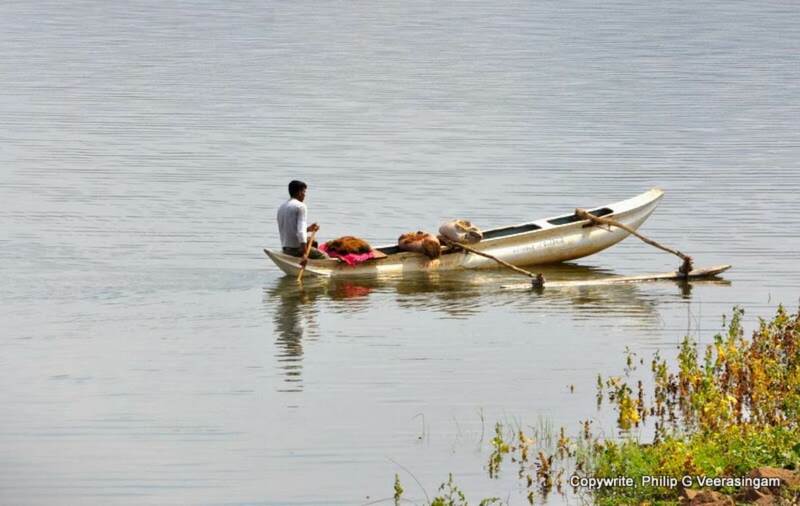 These are hired out by the hour or half-hour, and can be taken for a spin on the rivers or other water bodies. 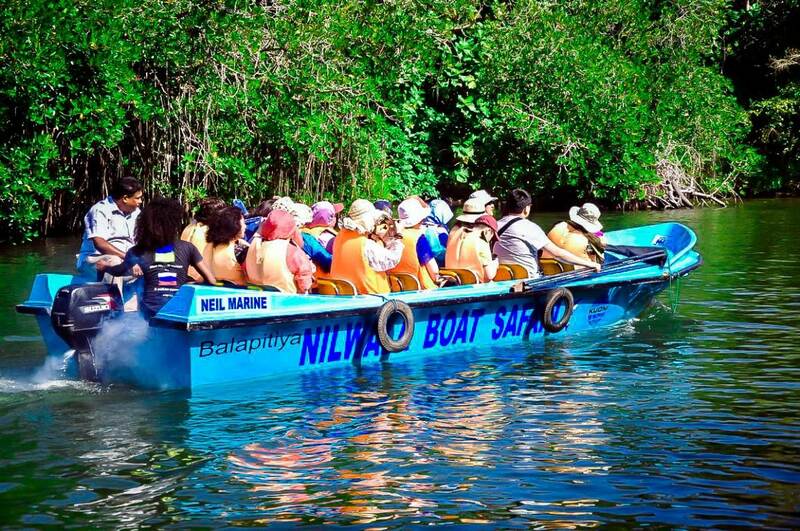 You can get a chance to see many waterbirds and other fauna, and visit some small islands depending on where you are paddle boating. 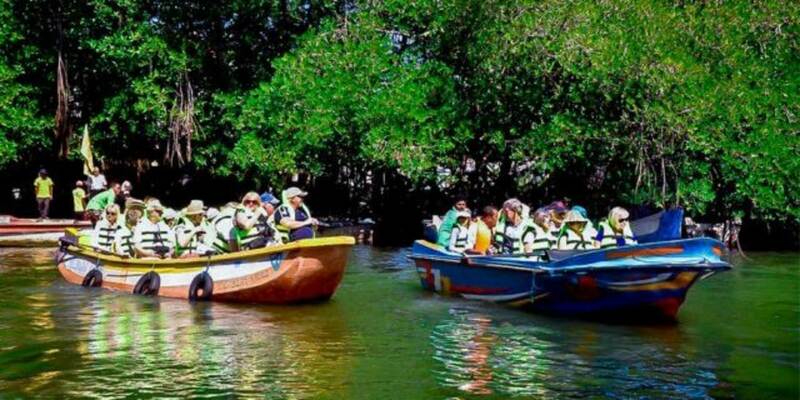 It’s especially popular on Beira Lake, where the Sima Malaka Shrine can be visited on an island in the centre. 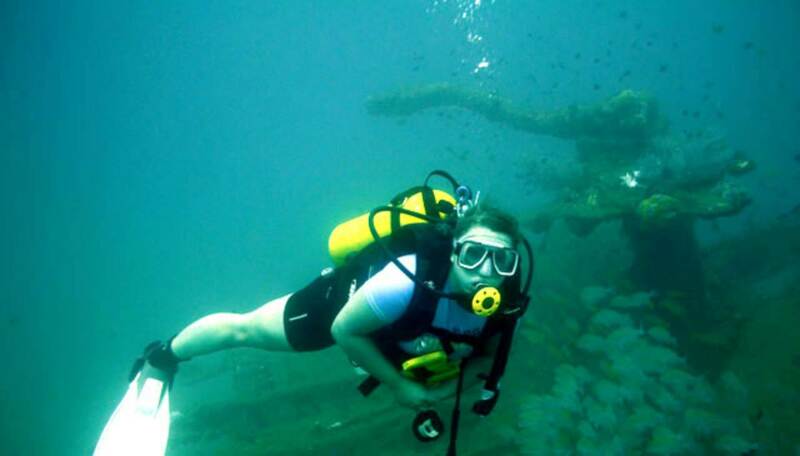 Scuba Diving gives you the chance to immerse yourself in the underwater world off the coast of Sri Lanka. 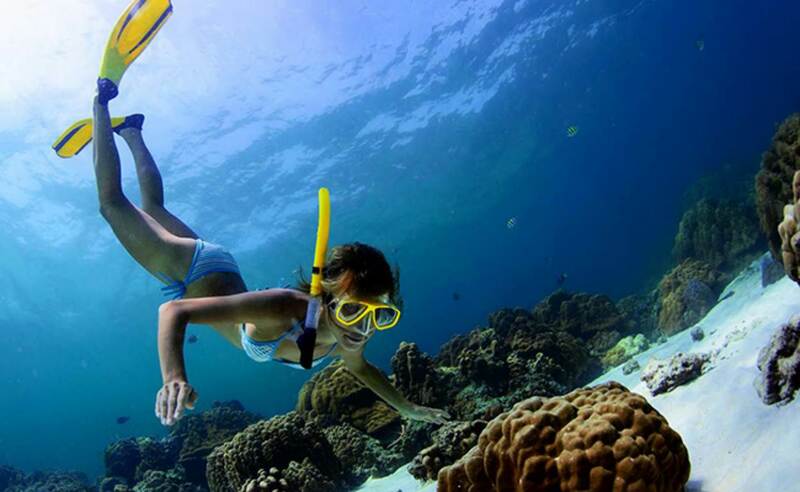 Swim alongside colorful fishes. Watch little crabs peek out of their underwater homes. 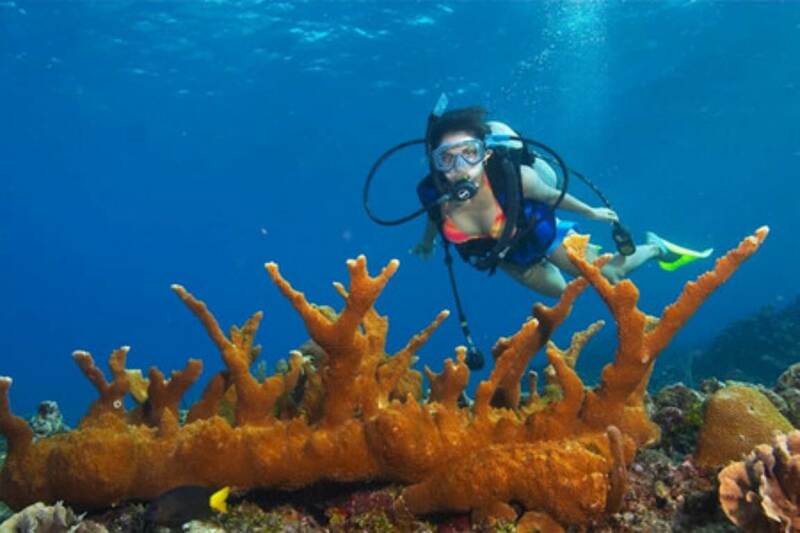 Enjoy seeing the hidden and secretive sea life that do not leave the sea floor. 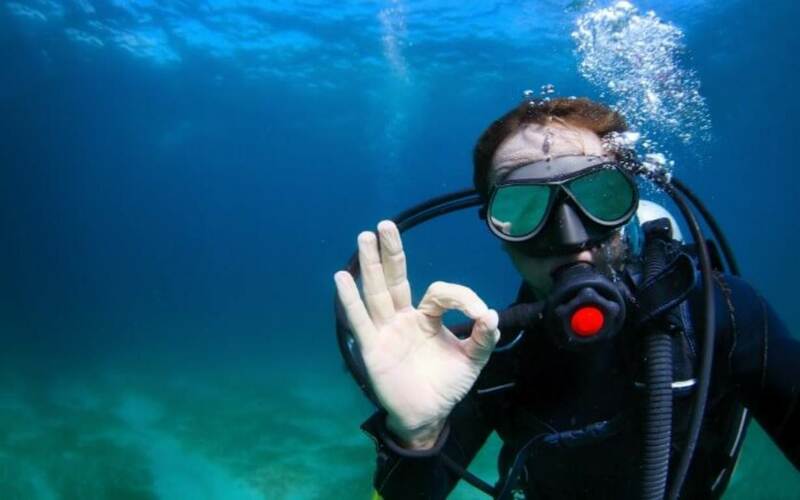 Diving gear can be hired in many coastal towns in Sri Lanka, with PADI certified diving instructors who can guide you for your safety. 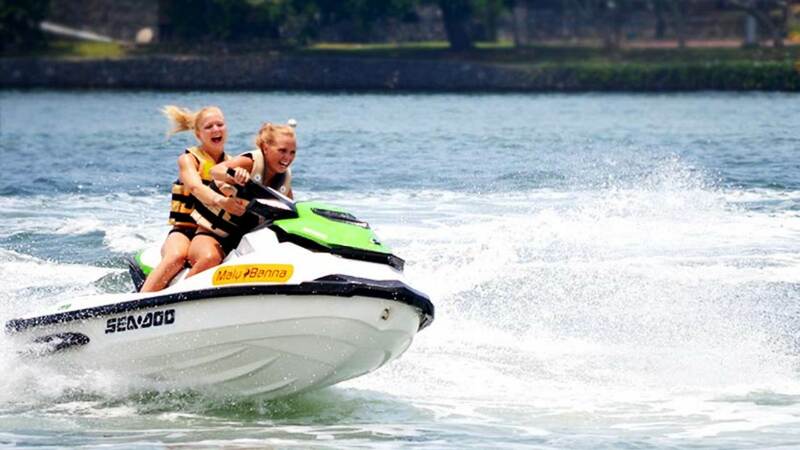 Jet Skis are the ultimate water thrill ride. 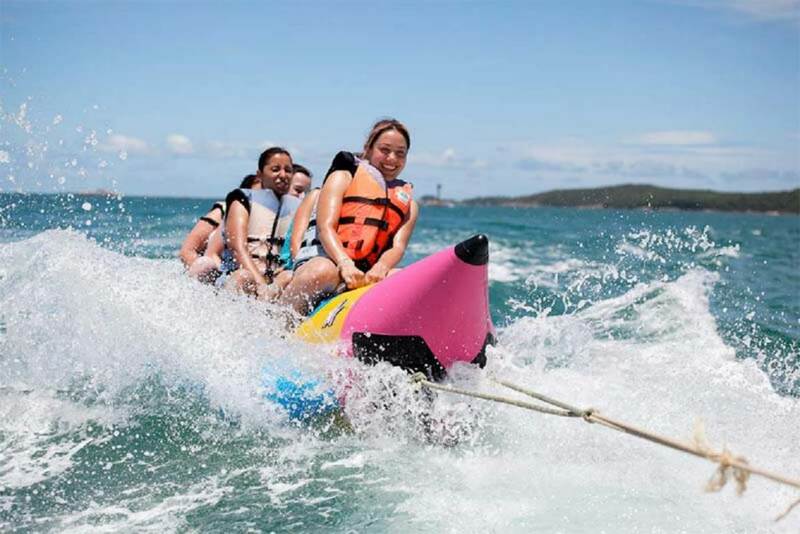 You can feel the adrenaline high from speed and from the jet ski’s glide over the strong ocean currents. 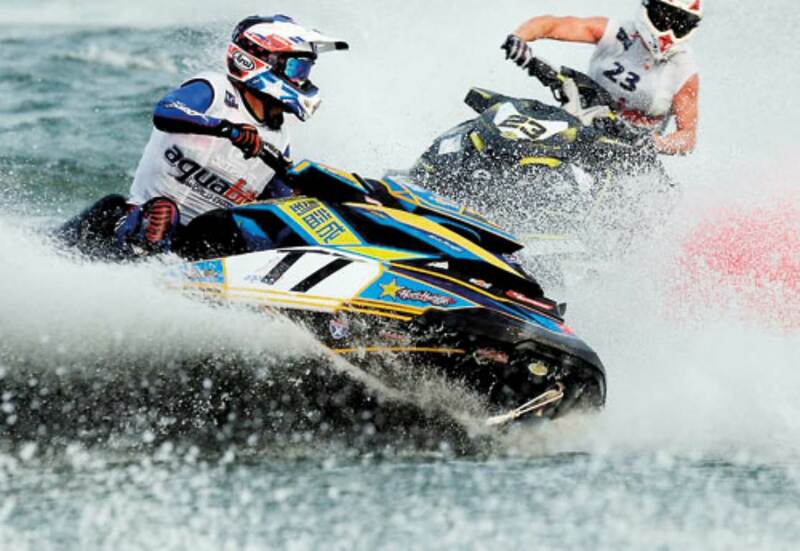 Sri Lanka, surrounded by the sea is one of the best places in the world to experience jet skiing. 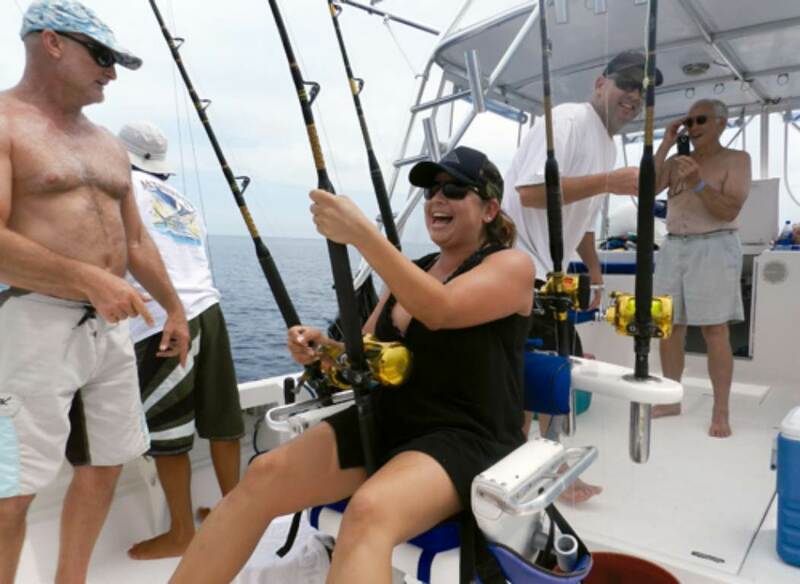 The beautiful coastal views add to the experience. 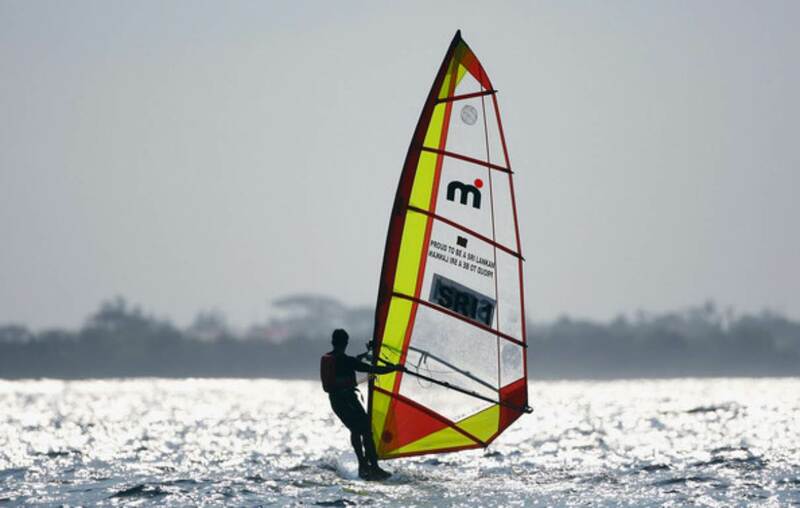 Bentota, one of Sri Lanka’s centers for water sports, and Negombo are popular for this sport. 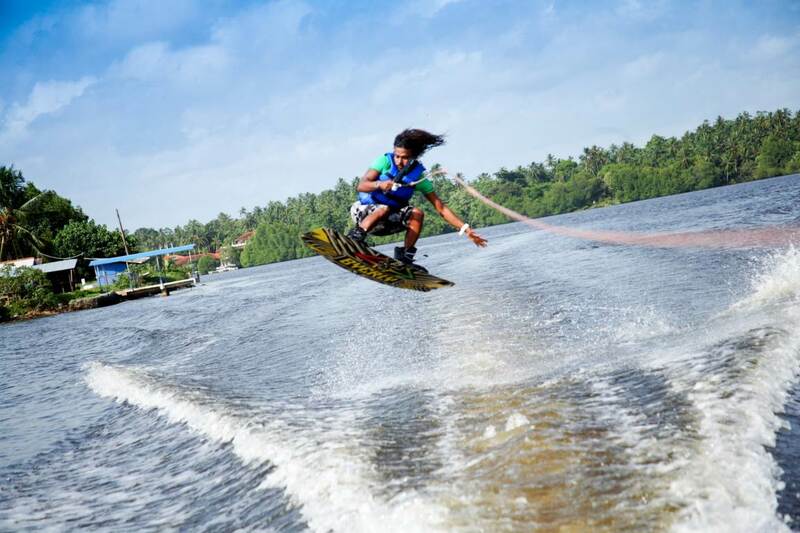 Sri Lanka offers a best in class waterskiing experience complete with sandy beaches, colorful coral reefs, clear blue water and a backdrop of sunny warm tropical climates. 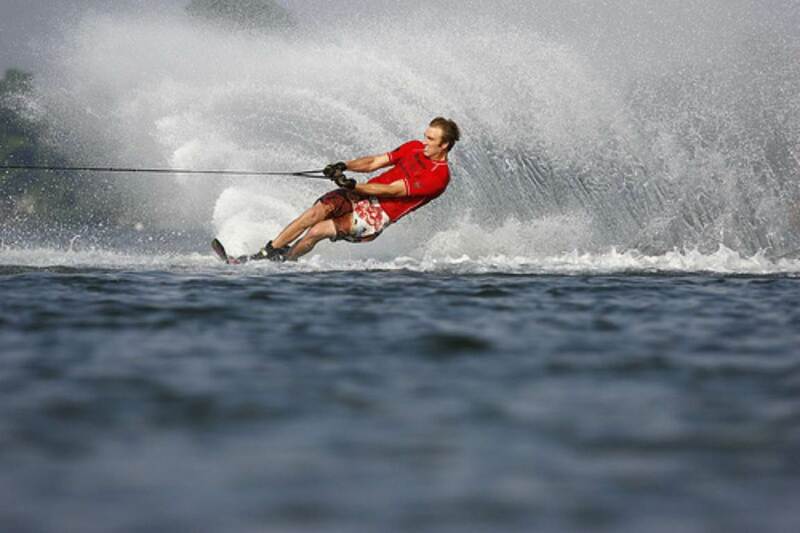 The sport allows you to glide over the water using the skis on your feet, while being towed by a motorboat. 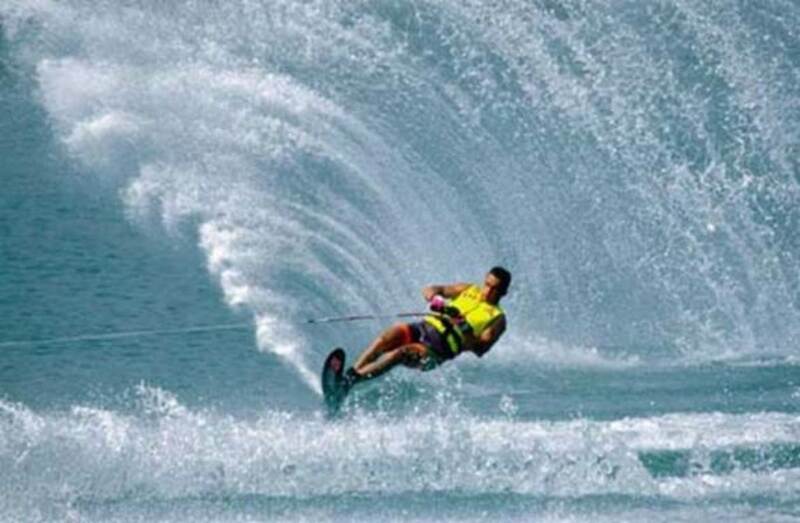 The sport can be done on any sizable body of water, but the best rush that you get is when you do it over the rolling waves of the ocean. 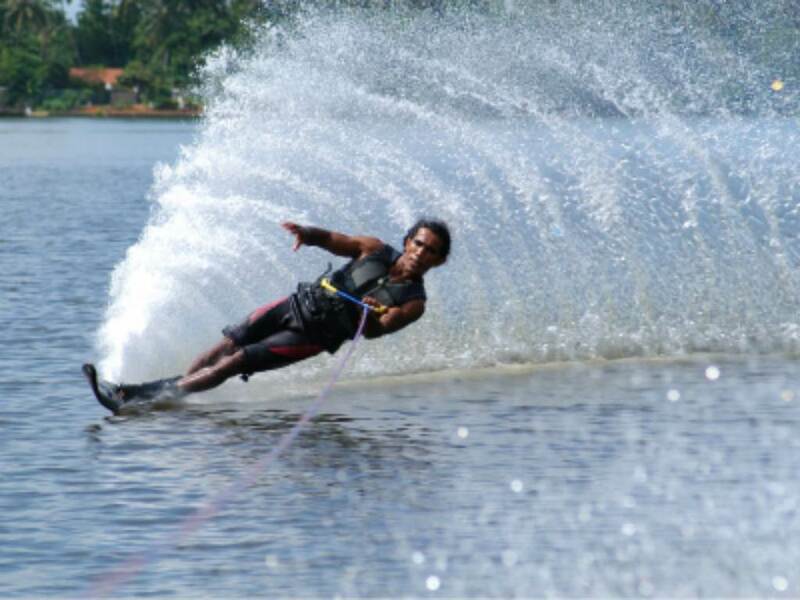 Wakeboarding is similar to riding a skateboard, except that its on the water. 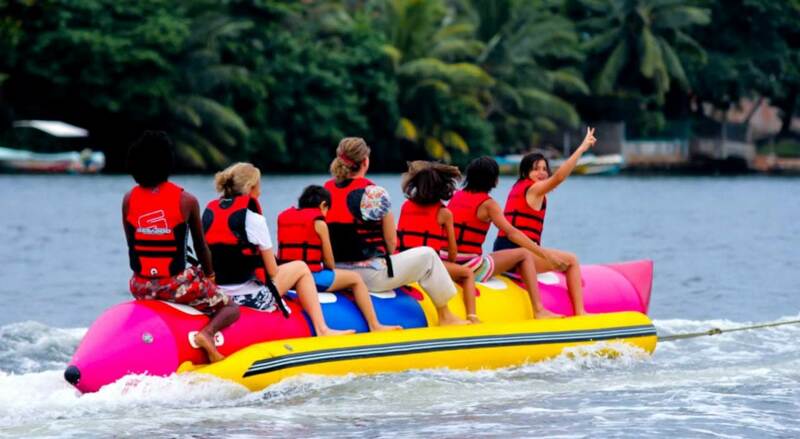 The board is towed by a speedboat. While you need impeccable balance to even ride it without falling, with skills and practice you can even stunt on it, just like on a skateboard. And the experience is totally thrilling! Surfing is possibly the most popular water sport in the world. Being able to keep your balance and ride a giant curling wave on your surfboard is a thrill of its own. 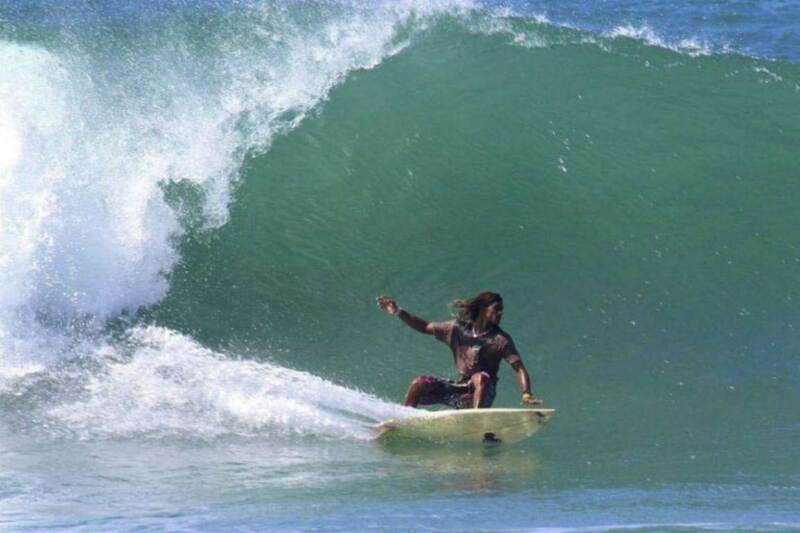 Arugam Bay on the Eastern Coast of Sri Lanka is one of the most famous surf destinations of the World. With the most amazing and steady waves during surfing season (May - November) its visited by top surfers from around the world. 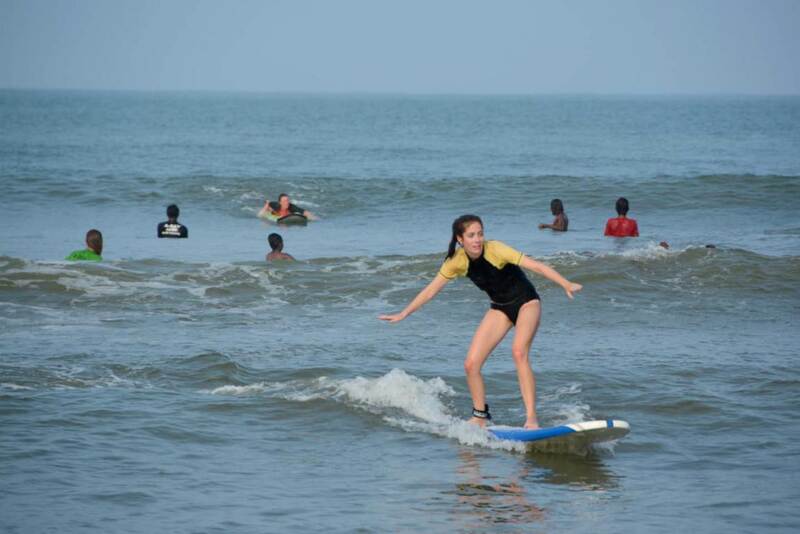 It is also a regular venue for international surfing competitions. 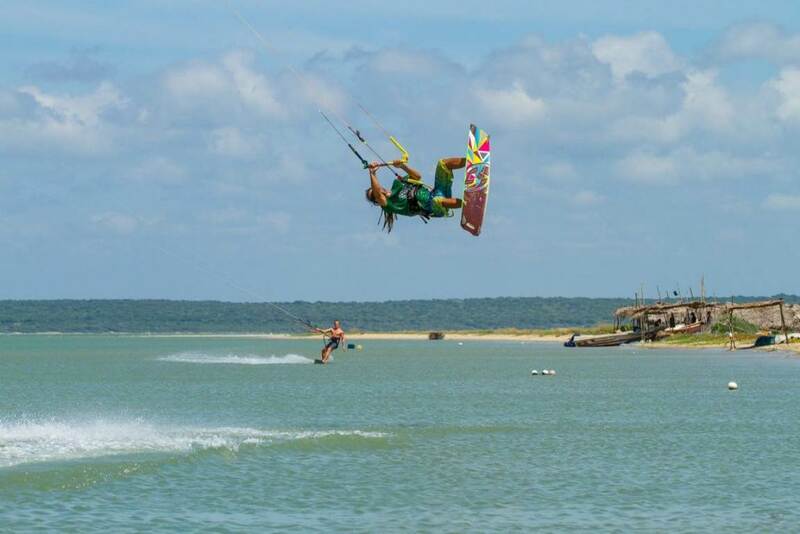 Kite surfing is a thrilling water sport that requires serious skill. You need to know how to control the parachute-like canopy using a rope while also maintaining your balance. But when you do it right, the result is amazing. 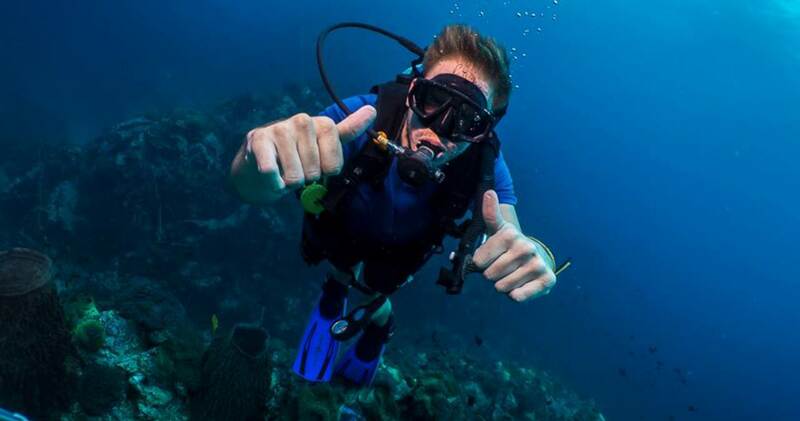 With practice, you can try in-air stunts that may include jumps and 360 degree flips. 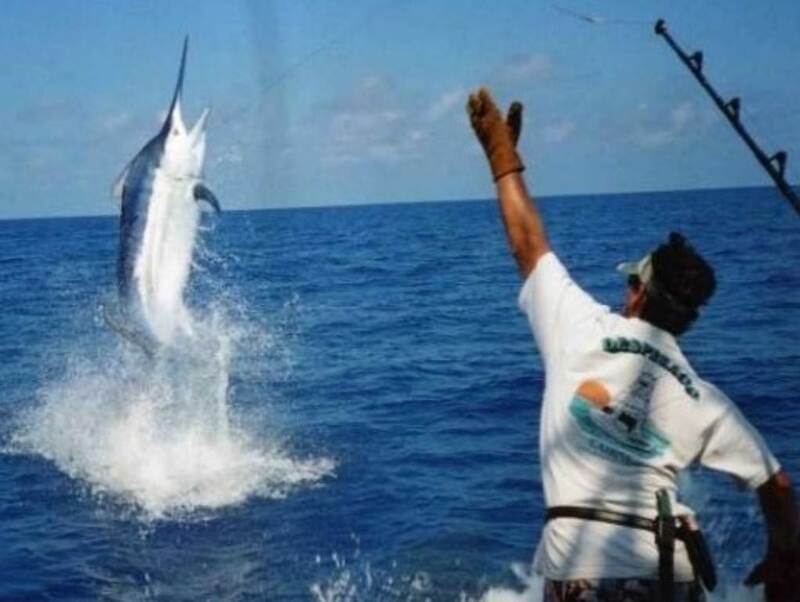 Since the entire control of where you're moving on the water is within your hands, it’s quite a tricky sport that needs to be done with caution. 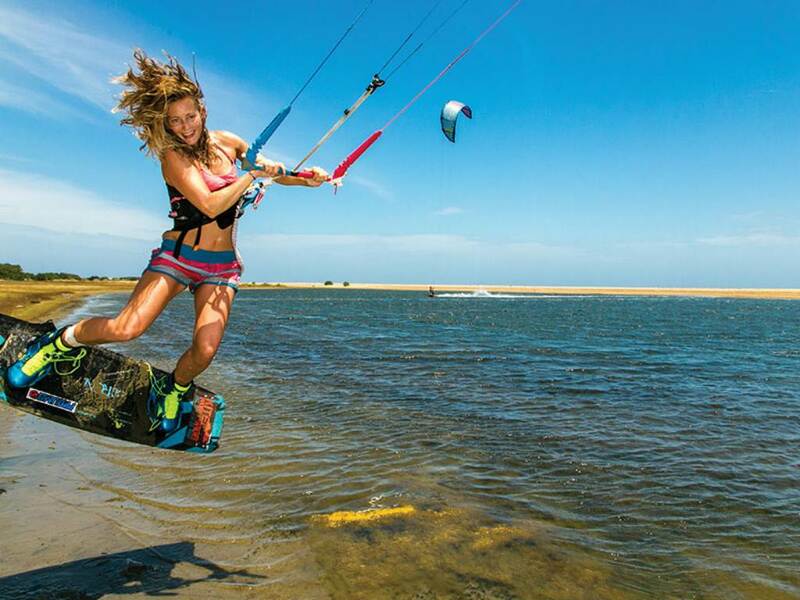 The coastal town of Kalpitiya in Sri Lanka has the perfect winds and sea condition for kite surfing and is very popular for the sport. 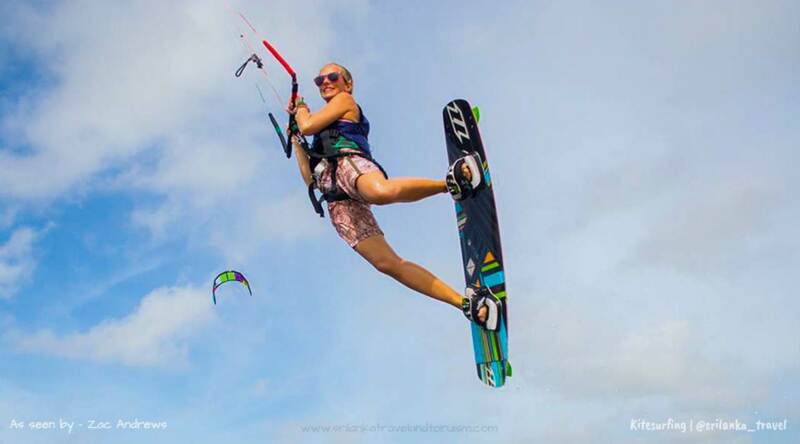 You can find kitesurfing instructors there as well. 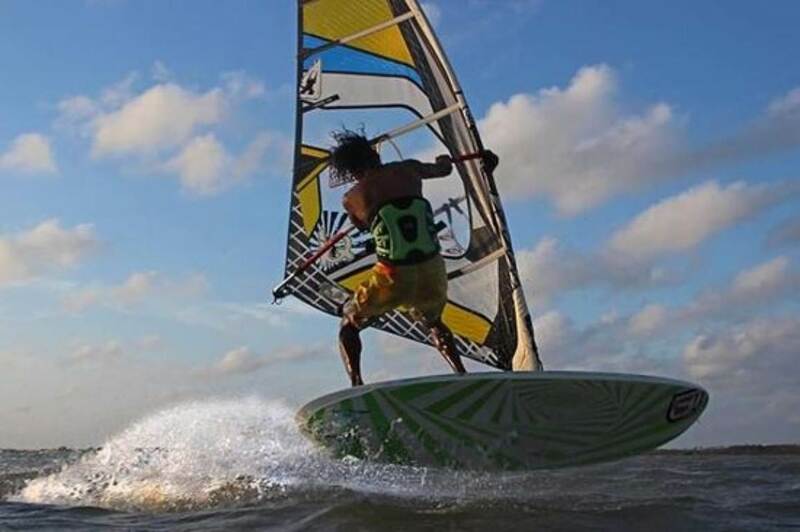 Wind Sailing involves using a sail attached to a surfboard to catch the wind and control the movement of the board across the waves. Once again it needs a great sense of balance and an immense amount of skill. Being able to take flight and do stunts, simply using the power of the wind, brings an exhilaration that cannot be explained. 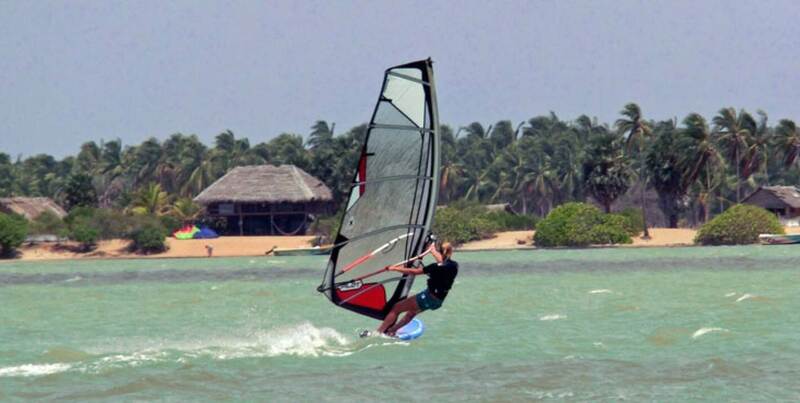 While many areas along the Sri Lankan coast have good conditions for wind surfing; Bentota is best for beginners. However the western coast offers the best challenge for those with experience. 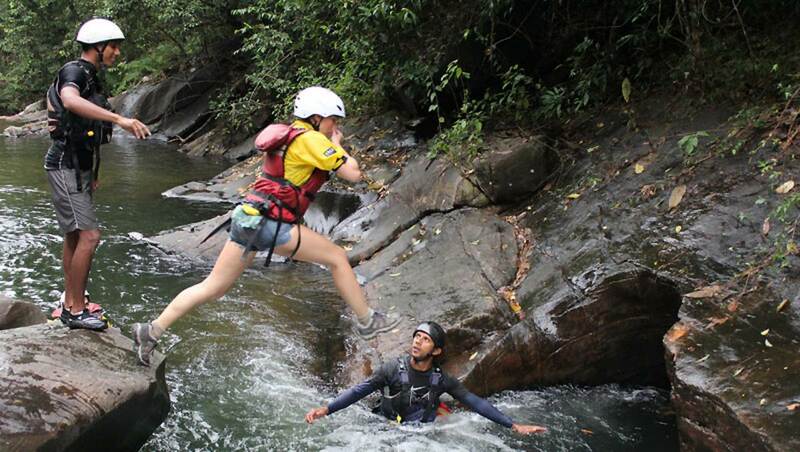 Canyoning in general may any mix of hiking, abseiling, cliff jumping, swimming, white water rafting and etc. 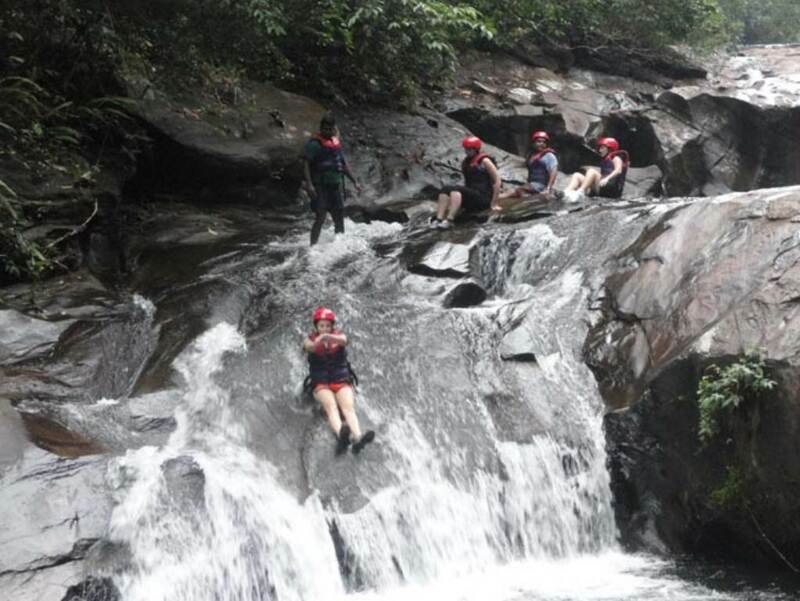 However, in Sri Lanka, canyoning is done as a water sport in the ancient gorges carved by the natural force of the Kelani River. 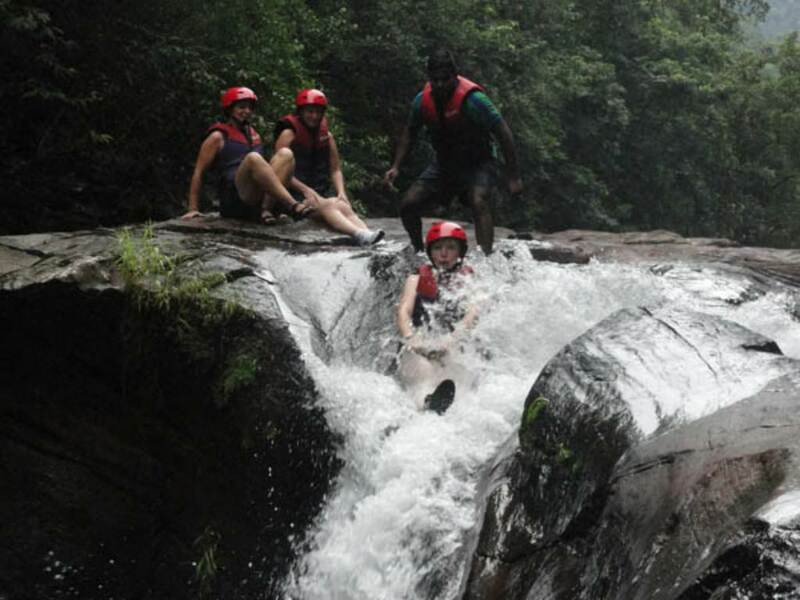 Kithulgala, where canyoning is often done, is surrounded by deep jungle and the walls of the gorge, with the river at the bottom forming small rapids and white water. 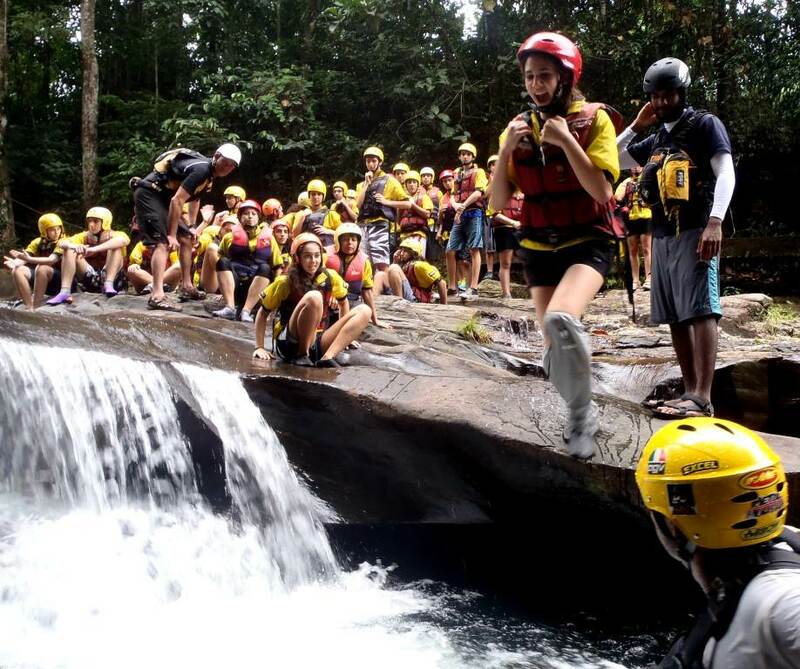 It involves sliding down rapids with the proper safety gear and can be quite thrilling. 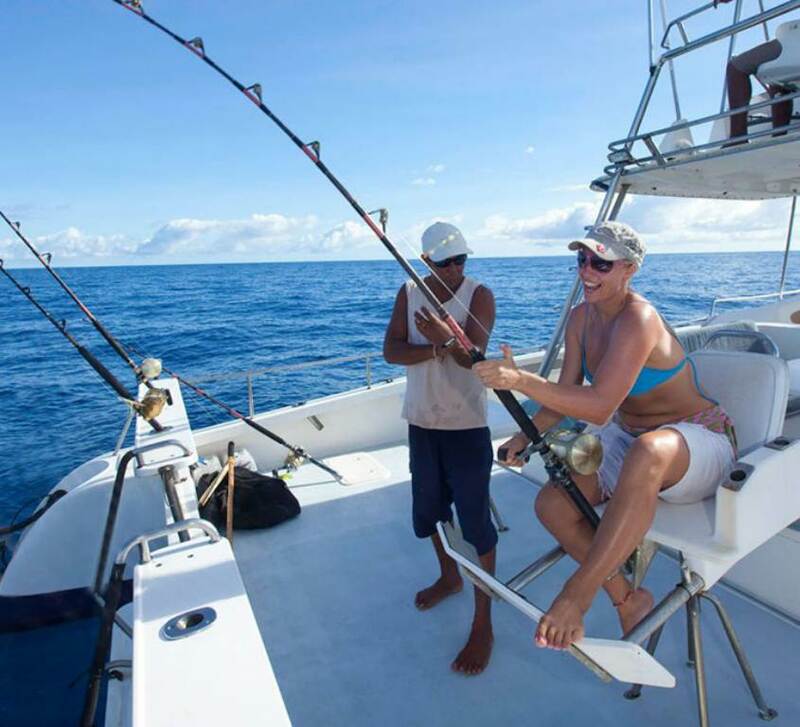 There are several companies in the area that provide qualified and experienced guides for the sport. White water kayaking on the other hand is a different ballgame. It involves riding white water rapids in a kayak. 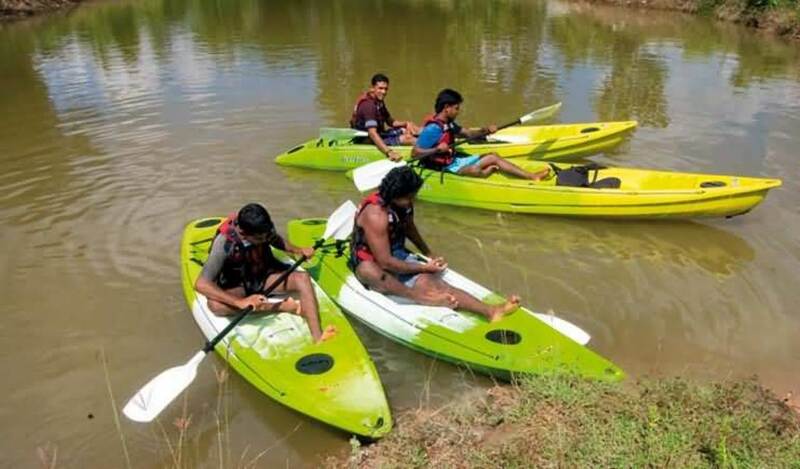 The control of the kayak is entirely dependent on the person in the kayak, and a single moment of losing focus can end up in the kayak flipping and possible injuries. As such it requires a lot of skill. 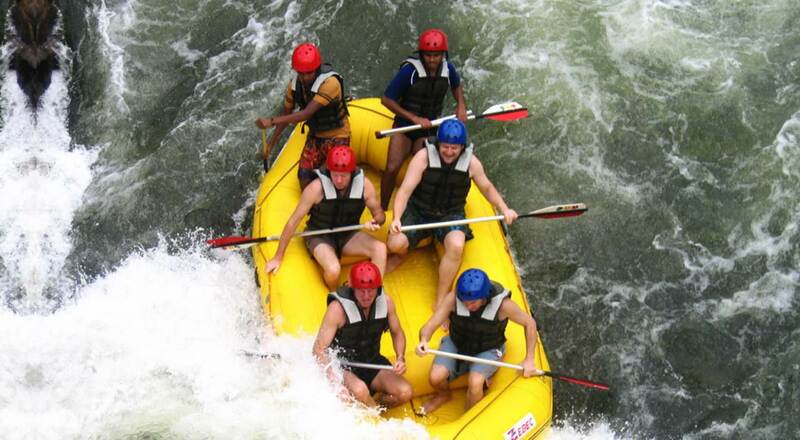 Sri Lanka has both, white water rafting and white water kayaking. 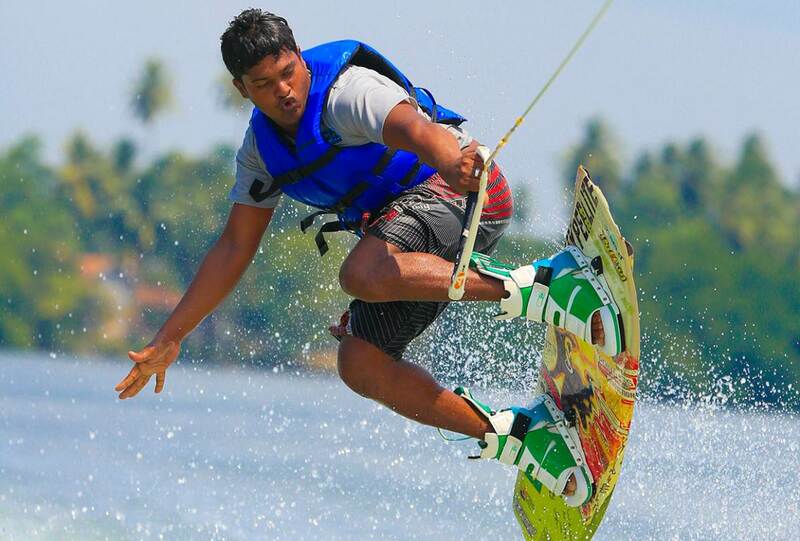 Kithulgala, a little town within the jungles that line the banks of Kelani River, is an epicenter for such water sports. With white water rapids that graded at level two and three, the Kithulgala stretch has five major and four minor rapids over a distance of five kilometres. 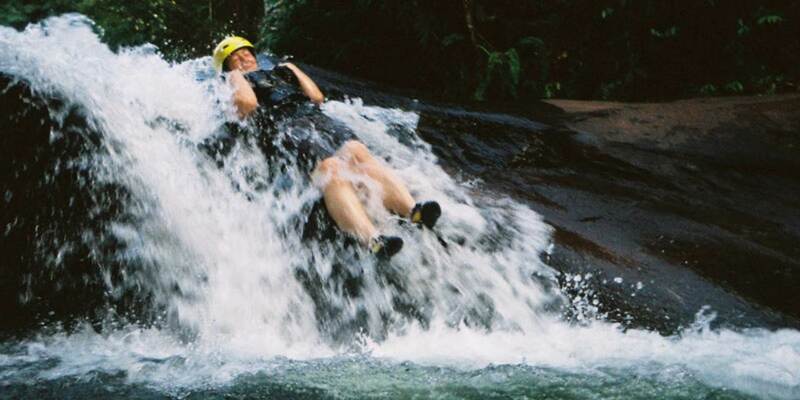 Avissawella is also popular for white water kayaking amongst more experienced kayakers. 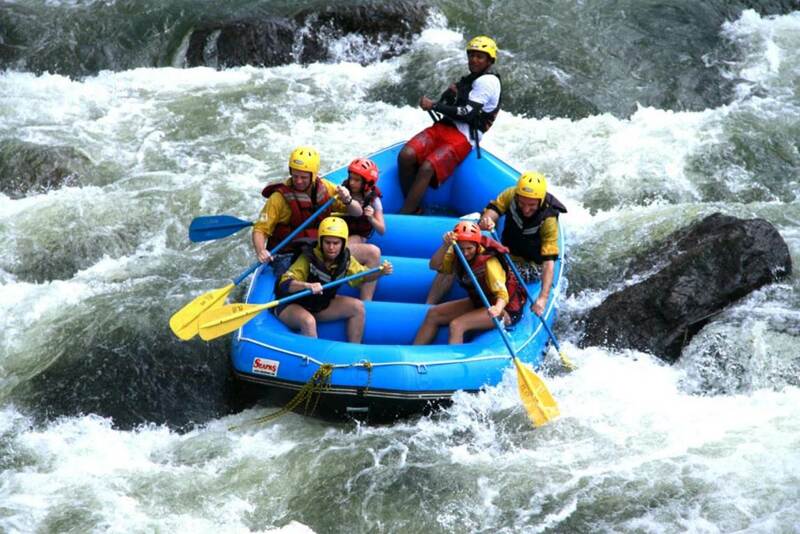 It has the Sitawaka River with 7 rapids graded between 3 to 4, stretching for a distance of 6.5 km. 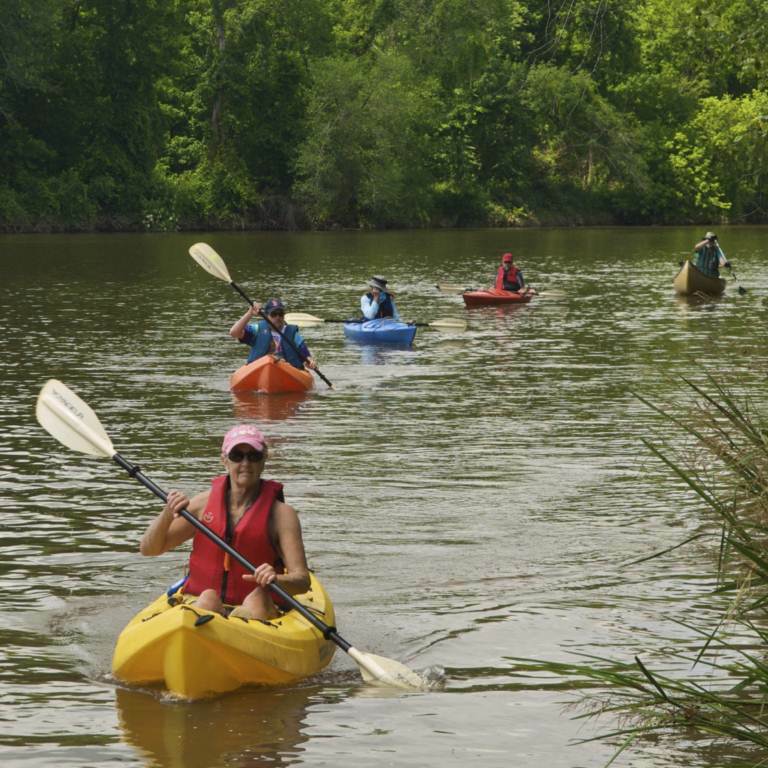 Though the intensity and force of the rapids are higher, the comparatively lesser number of rapids spread over a longer distance means that kayakers get to pass through calm waters occasionally, giving them the chance to rest and rejuvenate.